All of this has been said to let you know that if the “Sunday Inspiration” starts skipping over certain families, then it was already covered. The links to the skipped over ones will be listed. Most of you, like me, probably had no idea of what order the birds are listed in. We have all been learning as we have produced these Inspirations in order. 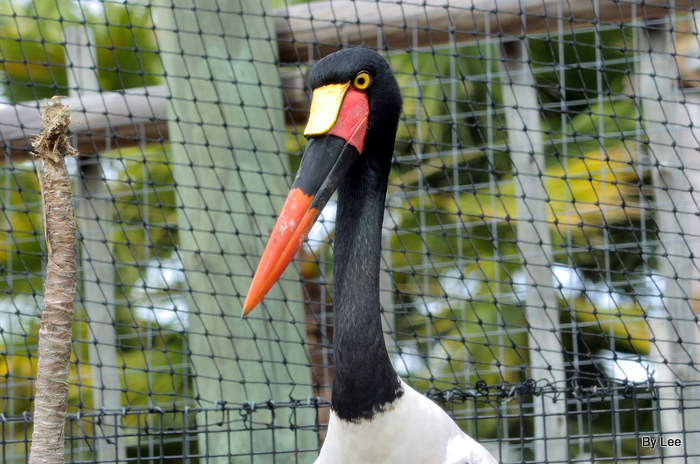 Storks are members of the Ciconiidae family and the only family in the Ciconiiformes Order. Storks are large to very large waterbirds. They range in size from the marabou, which stands 152 cm (60 in) tall and can weigh 8.9 kg (20 lb) the Abdim’s stork, which is only 75 cm (30 in) high and only weighs 1.3 kg (2.9 lb). Their shape is superficially similar to the herons, with long legs and necks, but they are heavier-set. 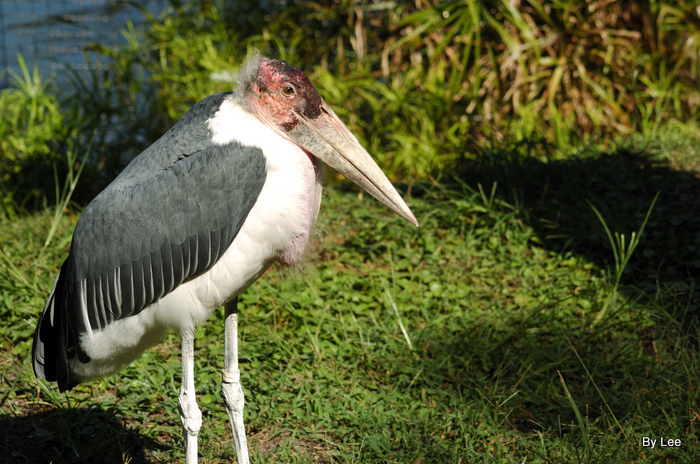 There is some sexual dimorphism (differences between males and females) in size, with males being up to 15% bigger than females in some species (for example the saddle-billed stork), but almost no difference in appearance. The only difference is in the colour of the iris of the two species in the genus Ephippiorhynchus. The bills of the storks are large to very large, and vary considerably between the genera. The shape of the bills is linked to the diet of the different species. The large bills of the Ciconia storks are the least specialised. Larger are the massive and slightly upturned bills of the Ephippiorhynchus and the jabiru. These have evolved to hunt for fish in shallow water. Larger still are the massive daggers of the two adjutants and marabou (Leptoptilos), which are used to feed on carrion and in defence against other scavengers, as well as for taking other prey. The long, ibis-like downcurved bills of the Mycteria storks have sensitive tips that allow them to detect prey by touch (tactilocation) where cloudy conditions would not allow them to see it. 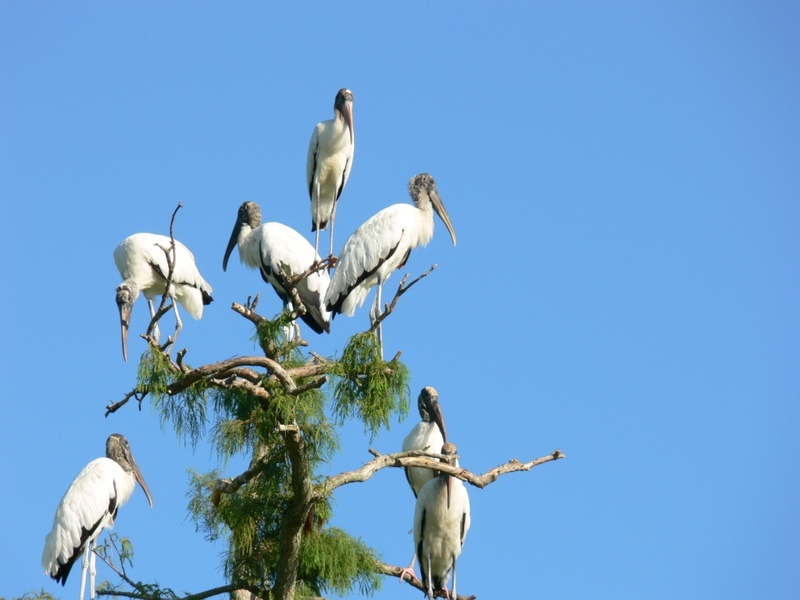 The most specialised bills of any storks are those of the two openbills (Anastomus. ), which as their name suggested is open in the middle when their bill is closed. The storks vary in their tendency towards migration. Temperate species like the white stork, black stork and Oriental stork undertake long annual migrations in the winter. 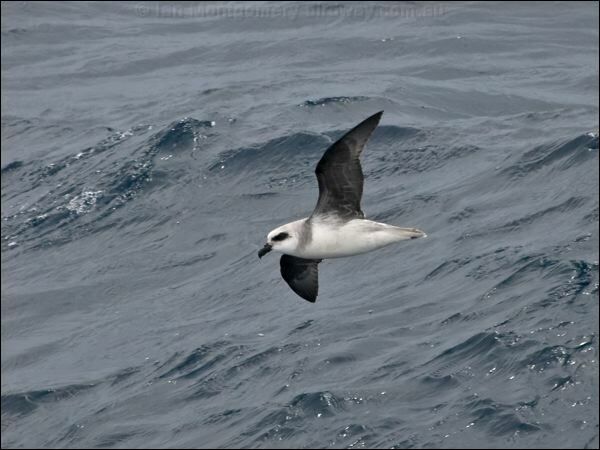 The routes taken by these species have developed to avoid long distance travel across water, and from Europe, this usually means flying across the Straits of Gibraltar or east across the Bosphorus and through Israel and the Sinai. Studies of young birds denied the chance to travel with others of their species have shown that these routes are at least partially learnt, rather than being innate as they are in passerine migrants. Migrating black storks are split between those that make stopovers on the migration between Europe and their wintering grounds in Africa, and those that don’t. “Amazing Grace” and “I Love You” – Orchestra and Choir combined”. 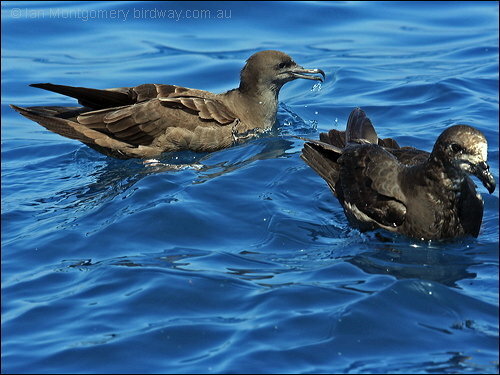 The Petrels in the Pterodroma genus has enough species to present them in their own post. 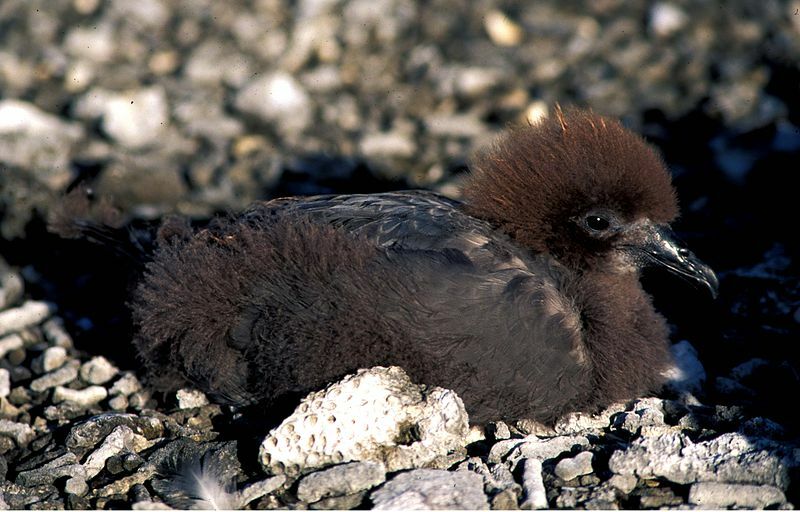 Ian Montgomery, (Bird of the Week/Moment), has quite a few photos of this family on his Birdway Site. 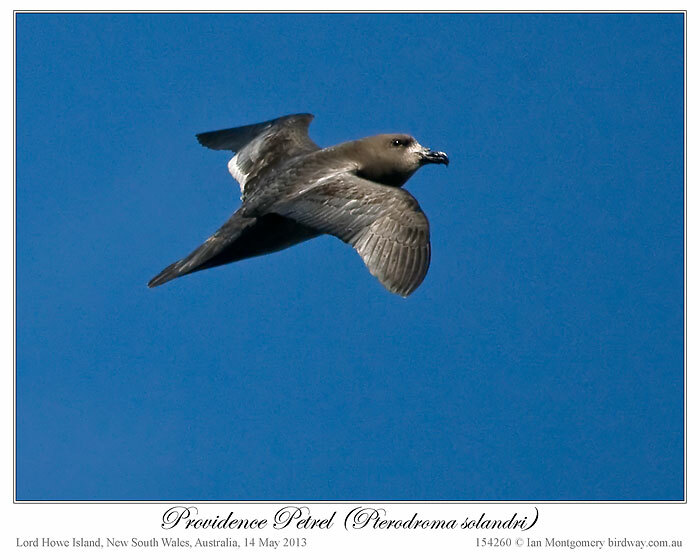 “The gadfly petrels are seabirds in the bird order Procellariiformes. 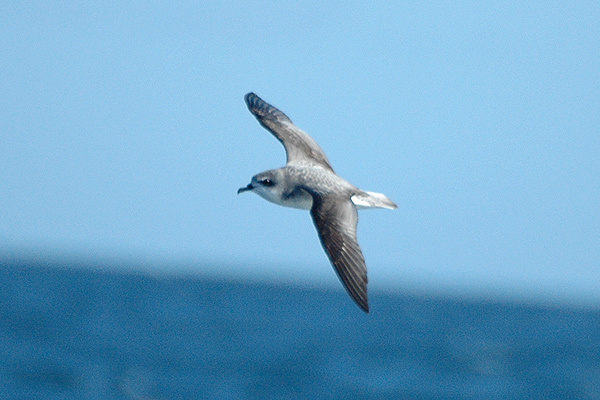 The gadfly petrels are named for their speedy weaving flight as if evading horseflies. 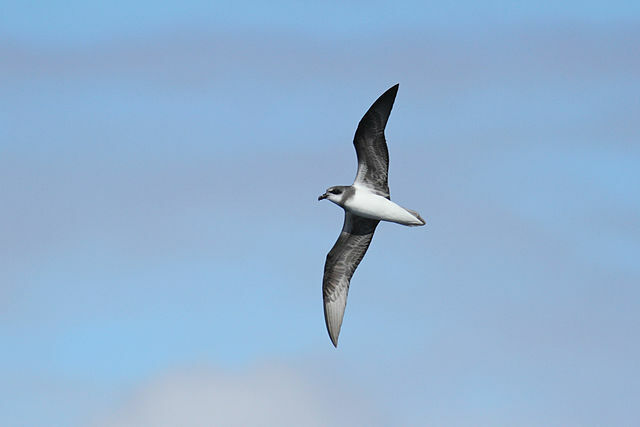 The flight action is also reflected in the genus name Pterodroma, from Ancient Greek pteron, “wing” and dromos, “runner”. “Jesus What a Mighty Name” ~ Pastor Smith with Choir and Orchestra. 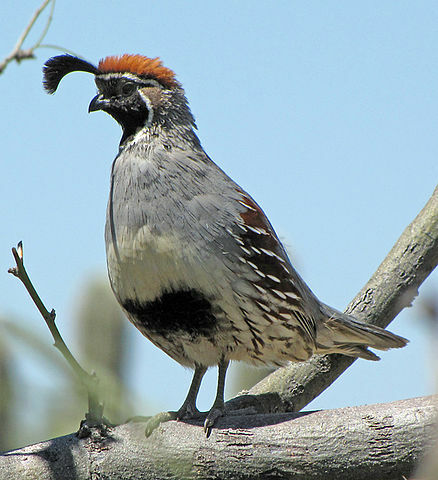 These are not the Old World Quails that rained down on the Israelites. Today is a little different from our normal post. 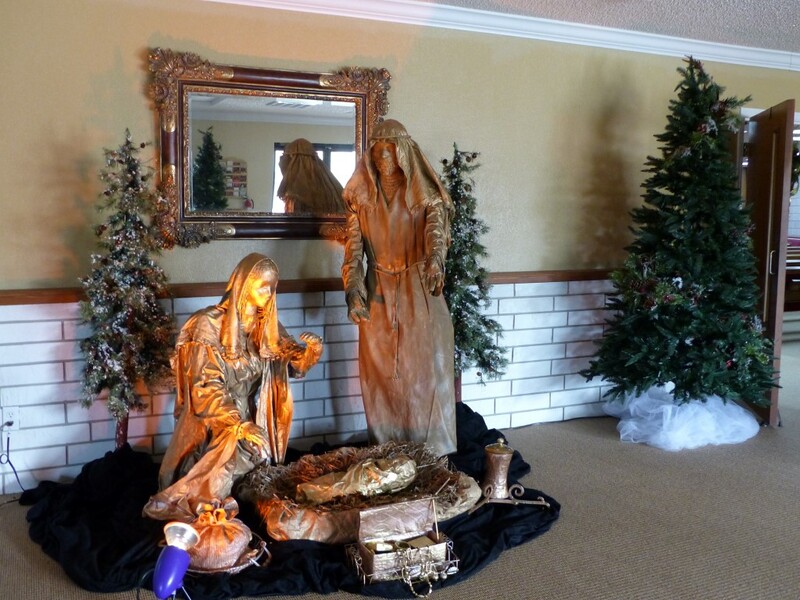 Last Sunday evening we had the Christmas Cantata at our church, Faith Baptist Church in Winter Haven, Florida. It was absolutely fantastic! Enjoy and may you have a blessed Christmas. Last week, the first half of the Cardinalidae was presented, and now here is the rest of this beautiful family. 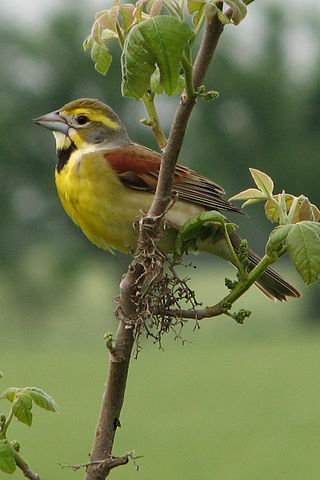 Today we have Grosbeaks, Seedeaters, Saltators, a Dickcissel, and Buntings. 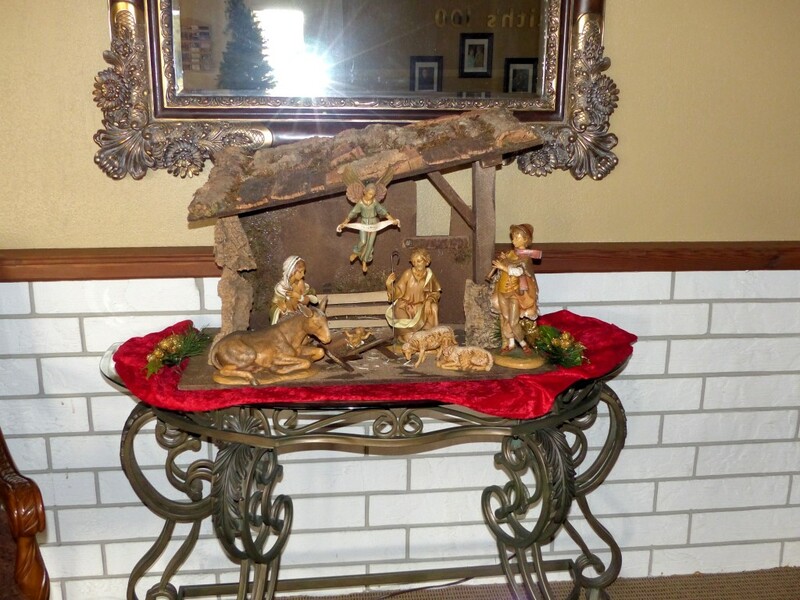 You will see another display of the Lord’s Handiwork as you watch the slideshow. The beginning genera have only a few species, the latter ones have more species per genus. Enjoy! 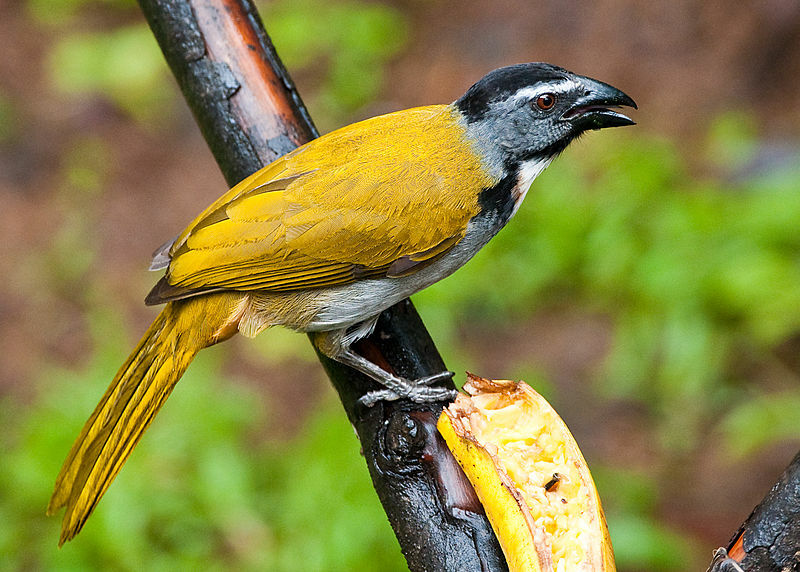 “Saltator is a genus of songbirds of the Americas. They are traditionally placed in the cardinal family (Cardinalidae) but now seem to be closer to tanagers (Thraupidae). 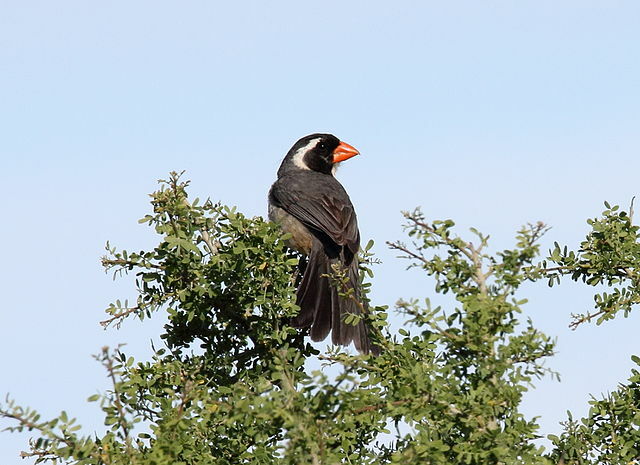 Their English name is also saltator, except for two dark species known by the more general grosbeak. Dickcissels have a large pale bill, a yellow line over the eye, brownish upperparts with black streaks on the back, dark wings, a rust patch on the shoulder and light underparts. 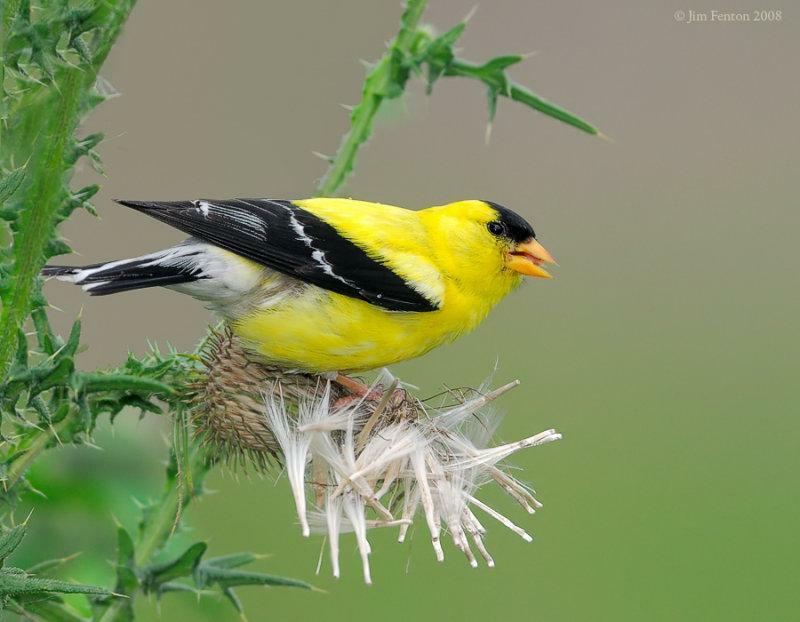 Adult males have a black throat patch, a yellow breast and grey cheeks and crown. 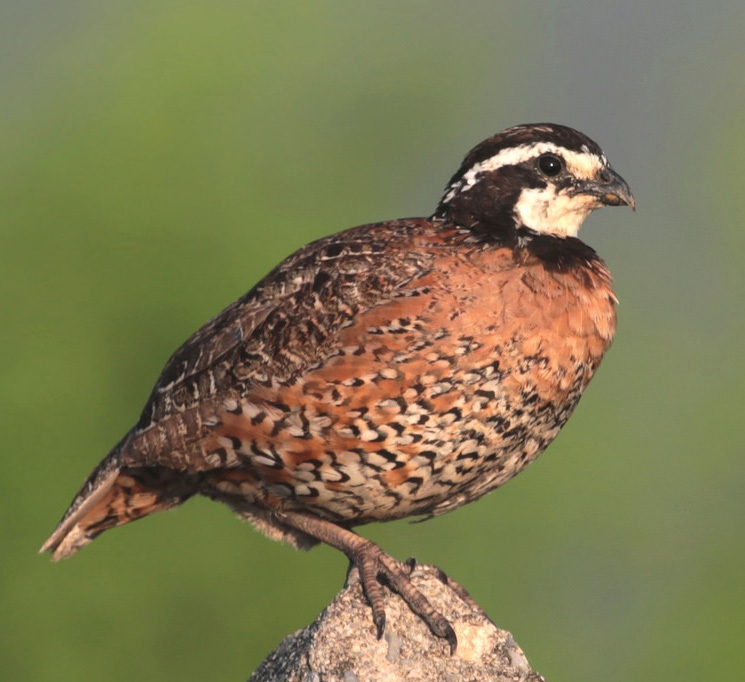 This head and breast pattern is especially brilliant in the breeding plumage, making it resemble an eastern meadowlark. Females and juveniles are brownish on the cheeks and crown and are somewhat similar in appearance to house sparrows; they have streaked flanks. 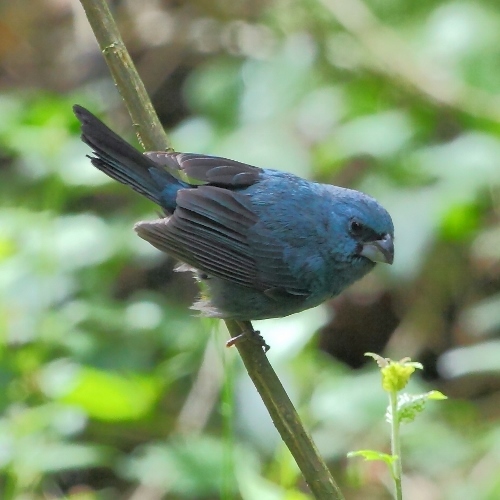 The Glaucous-blue Grosbeak (Cyanoloxia glaucocaerulea), also known as the indigo grosbeak, is a species of bird in the Cardinalidae family. It is the only member of the genus Cyanoloxia. It is found in Argentina, Brazil, and Uruguay. Its natural habitats are subtropical or tropical moist lowland forests, subtropical or tropical moist shrubland, and heavily degraded former forest. The genus Passerina is a group of birds in the cardinal family (Cardinalidae). Although not directly related to buntings in the family Emberizidae, they are sometimes known as the North American buntings (the North American Emberizidae are colloquially called “sparrows” although they are also not related to these birds). With this last group, we have now completed the PASSERIFORMES – Passerines Order. As mentioned last week, there are 131 families of song birds that you have been viewing since February of this year. 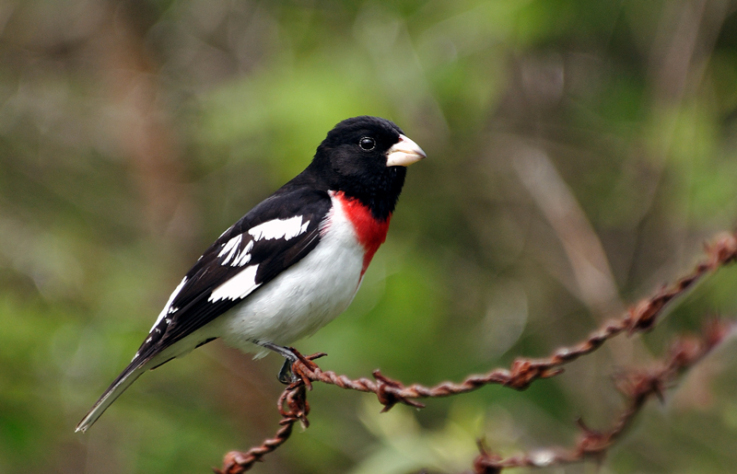 The Cardinalidae – Cardinals, Grosbeaks and allies has 69 species in the family. Because of that number, this family will be presented in two segments. Growing up in Indiana, the Northern Cardinal was a favorite of most of us. It is the “State Bird” of Indiana along with six other states. [Illinois, Kentucky, North Carolina, Ohio, Virginia, West Virginia] The family members are found in North and South America. 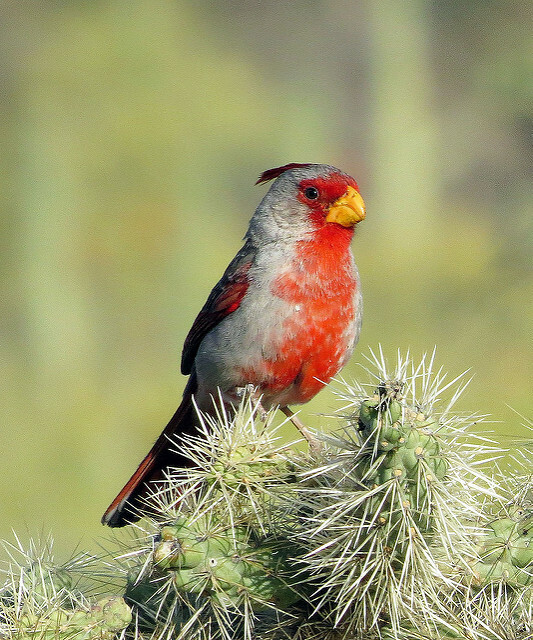 The South America Cardinals of the genus Paroaria are placed in another family, the Thraupidae (previously placed in Emberizidae). Even though the family name is Cardinalidae, there are only two “cardinals” among the members. Also known as cardinal-grosbeaks and cardinal-buntings, this family’s members “are robust, seed-eating birds with strong bills. 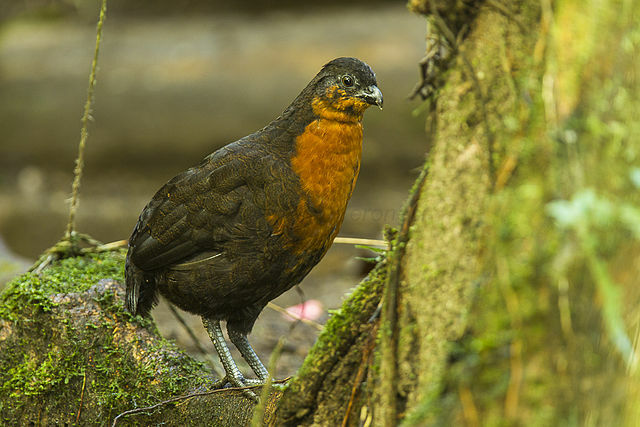 The family ranges in size from the 12-cm (4.7-in), 11.5-g (0.40-oz) and up orange-breasted bunting to the 25-cm (9.8-in), 85-g (2.99-oz) black-headed saltator. They are typically associated with open woodland. The sexes usually have distinctive appearances. The northern cardinal type species was named by colonists for the male’s red crest, reminiscent of a Catholic cardinal’s biretta. The family starts off with 11 Tanagers in the Piranga genus, which used to be in with the tanagers, but were relocated here recently. “They are essentially red, orange or yellow all over, except the tail and wings and in some species also the back. 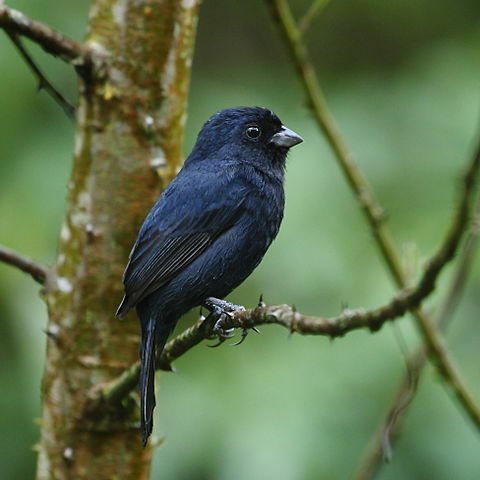 Such extensive lipochrome coloration (except on the belly) is very rare in true tanagers, but is widespread among the Cardinalidae in the Piranga genus. 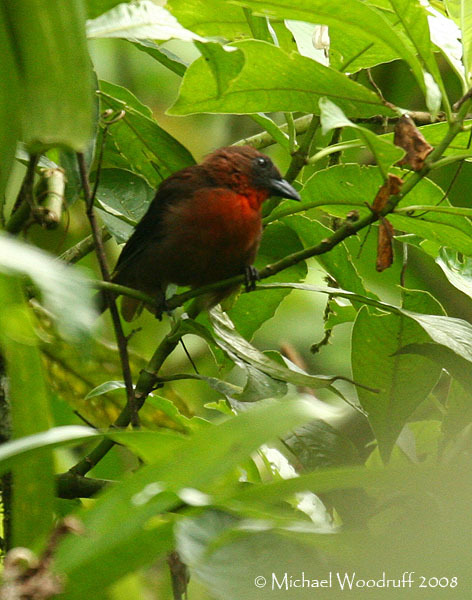 Next are the Ant Tanagers in the Habia genus. “These are long-tailed and strong billed birds. 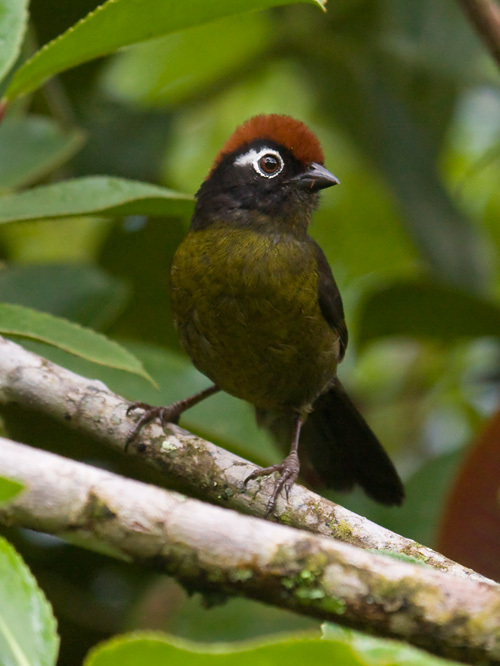 The males have a red crest and plumage containing red, brown or sooty hues. 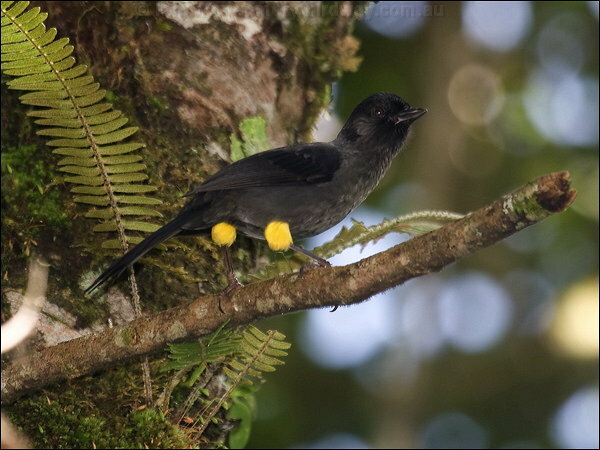 Females may resemble the males or be largely yellowish or brown in colour.” Following these are four more tanagers in the Chlorothraupis genus. 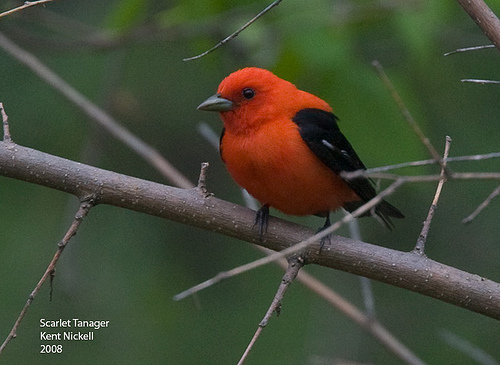 These are the last of the tanagers that were moved to this family. 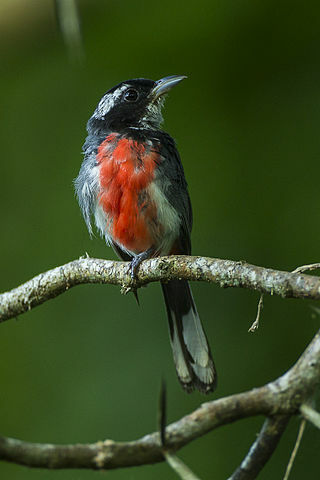 There are three Chats in the Granatellus genus; Red-breasted Chat, Grey-throated Chat, and the Rose-breasted Chat. They range from North America through Central America into northern South America. Their natural habitat is subtropical or tropical dry forests. 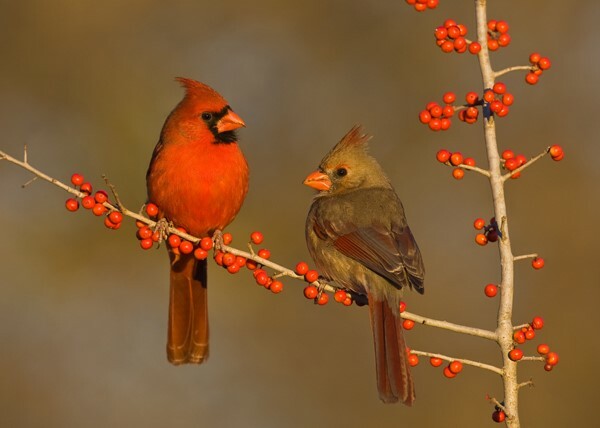 We will finish this first half of the family with three of my favorites, the Cardinalis genus. Our Northern and Vermilion Cardinals and the Pyrrholixia (which I saw for the first time last year) are hard to miss with their bright set of feathers the Lord provided for them. These range across North America and into northern South America. We finally come to the last birds in the Emberizidae – Buntings, New World Sparrows & Allies Family. This is the first family that we split up into four articles. With 181 species in this very common family, this gave you a chance to see more of them. 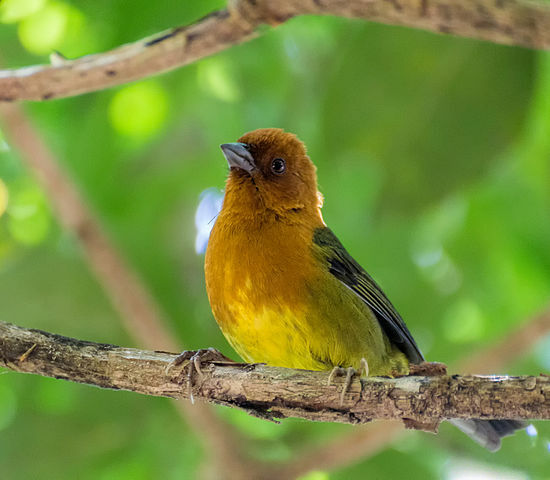 So, today, we will finish up the family by showing you last group of the “allies.” There is a Large-footed Finch in the Peropetes genus, the only one in the genus actually. 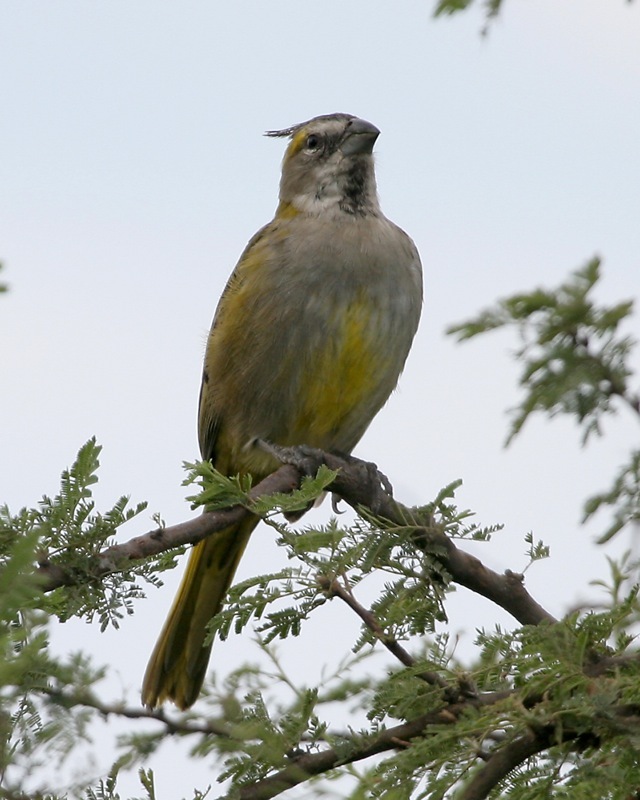 Then the Atlapetes genus will be the bulk of the birds (31) and they are all Brushfinches, two finches from the Pselliophorus genus, a Yellow Cardinal from the Gubernatrix, and finish it off with 9 Bush Tanagers in the Chlorospingus genus. 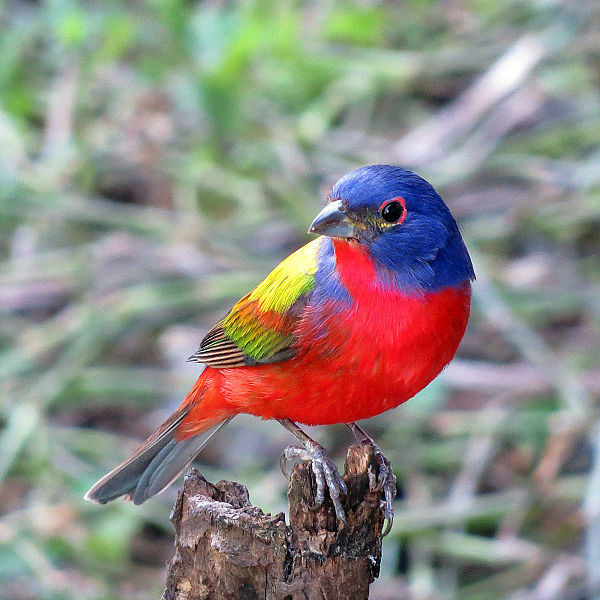 Forty-four amazing avian wonders from their Creator for us to enjoy. 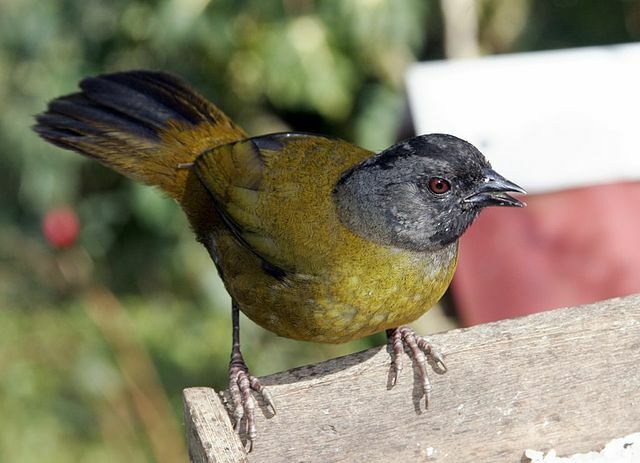 The Large-footed Finch is found in the undergrowth of mountain forests, second growth, bamboo clumps, and scrubby pastures from 2150 m altitude to the scrubby páramo at 3350 m. It has a slender bill, a modestly sized tail and very large and powerful feet and legs. The next genus, the Atlapetes with their Brushfinches are rather interesting and colorful. Most are found in forest in subtropical or tropical areas. The range from Mexico, Central America and throughout South America. 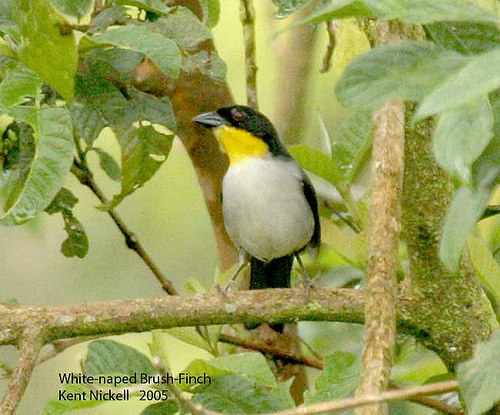 Looks like the Lord created that White-rimmed Brushfinch with glasses, which it is not wearing. I’m sure it has very good eyesight. 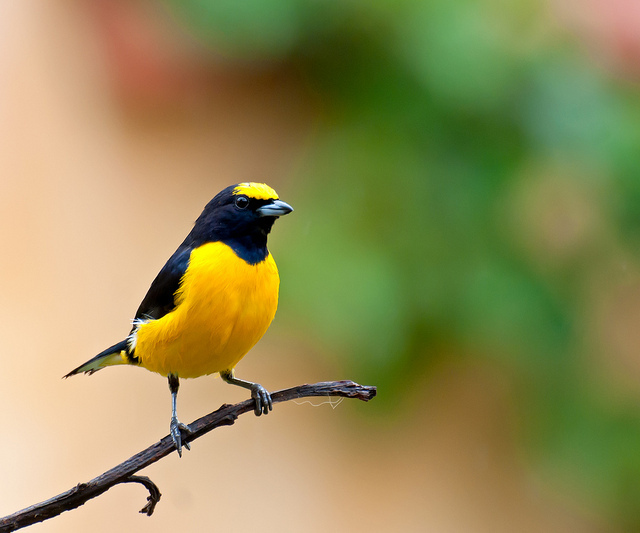 The Yellow-thighed Finch and the Yellow-green Finch of the Pselliophorus genus look like they are wearing short leggings on the top of their legs. The Yellow Cardinal is another neat avian creation, Looks just like our Northern Cardinal, but is yellow and in a different family altogether. 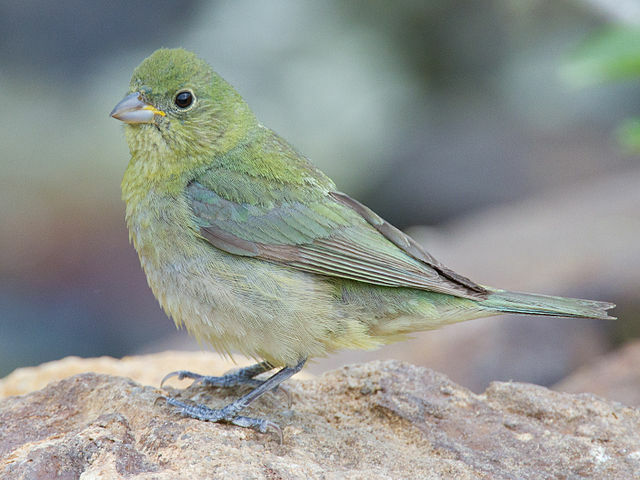 The last genus in this family, is the Chlorospingus and contains 9 Bush Tanagers. With this last group, we finish up the Emberizidae Family. Trust you enjoyed seeing most of the 181 members over the last few weeks. Today, we finish up the Finch Family. I trust you have enjoyed getting to see so many of the finches, “after their kind.” Our Lord, their Creator, gave them some mighty nice colors and markings. There are missing ones, not shown, that are available, but we don’t have permission to use them. So, if you check the internet and books, they can be found. Spinus is a genus of passerine birds in the finch family. 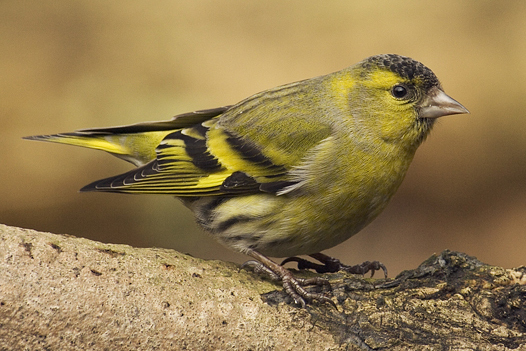 It contains the North and South American siskins and goldfinches. Most Euphonias are dark metallic blue above and bright yellow below. Many have contrasting pale foreheads and white undertails. Some have light blue patches on the head and/or orangish underparts. They range in overall length from 9 to 11 cm (3.5 to 4.3 in). 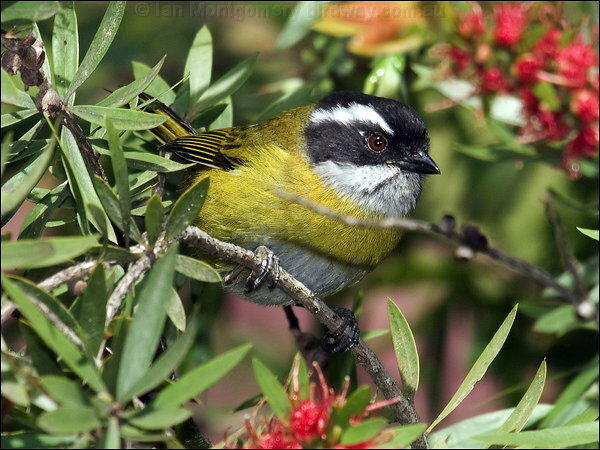 They eat small fruit and berries particularly mistletoe (Loranthaceae). Some species may also eat some insects. Because of Resurrection Sunday – Easter last week, there was no Sunday Inspiration. 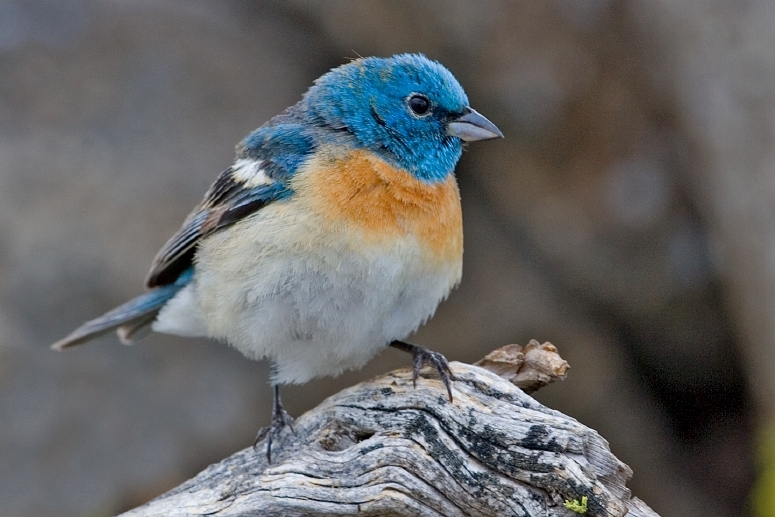 The Motacillidae are a family of small passerine birds with medium to long tails. 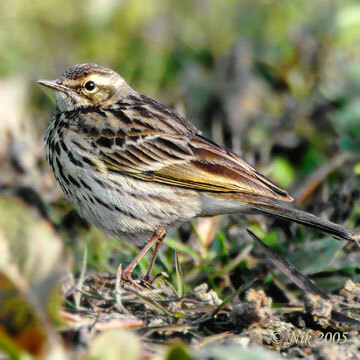 There are around 66 species in 6 genera and they include the wagtails, longclaws and pipits. 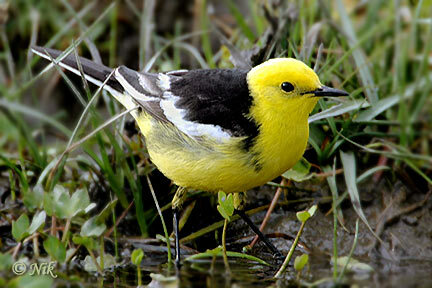 The longclaws are entirely restricted to the Afrotropics, and the wagtails are predominantly found in Europe, Africa and Asia, with two species migrating and breeding in Alaska. The pipits have the most cosmopolitan distribution, being found across mostly in the Old World but occurring also in the Americas and oceanic islands such as New Zealand and the Falklands. 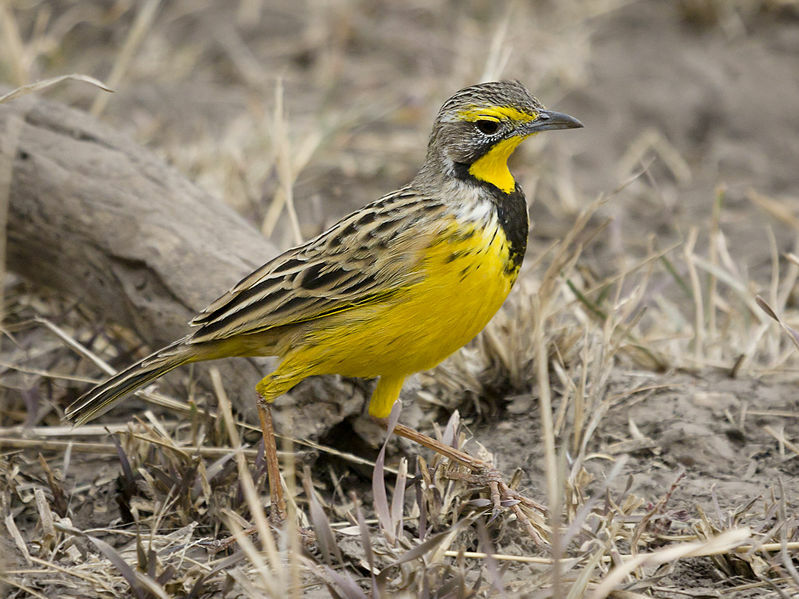 Two African species, the Yellow-breasted Pipit and Sharpe’s Longclaw are sometimes placed in a separate seventh genus, Hemimacronyx, which is closely related to the longclaws. Wagtails, pipits, and longclaws are slender, small to medium sized passerines, ranging from 14 to 17 centimetres in length, with short necks and long tails. They have long, pale legs with long toes and claws, particularly the hind toe which can be up to 4 cm in length in some longclaws. Overall the robust longclaws are larger than the pipits and wagtails. Longclaws can weigh as much as 64 g, whereas the weight range for pipits and wagtails is 15–31 g. The plumage of most pipits is dull brown and reminiscent of the larks, although some species have brighter plumages, particularly the Golden Pipit of north-east Africa. The adult male longclaws have brightly coloured undersides.